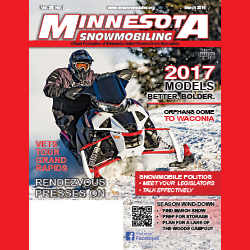 March 2016 - Midwest Sports Publishing Network, Inc.
Valcourt, QC (March 30, 2016) – X-Team hillclimbers Blaine Mathews and Carl Kuster had successful weekends at the Jackson Hole World Hillclimb Championship as Mathews claimed two class wins and a King title while Kuster took home one class win. Mathews has been riding a wave of momentum heading into the event and kept it rolling by winning the 800 Improved Stock and Open Mod classes. To put an exclamation point on it he also took the Improved Stock King of the Hill award and the Rick Ward Memorial Sportsman Award. Kuster made it a worthwhile return to Jackson for his once a year competition in the US, after a hand injury kept him from competing in any events last season, with a win in Pro Masters Mod class. 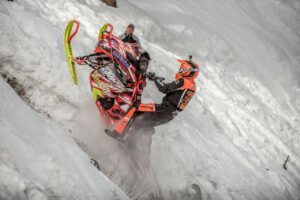 The hill at Snow King Resort always provides some of the toughest challenges in the world of snowmobile hillclimbing, and this year was no different as many competitors left high marks rather making it to the top for an elapsed time. Racers qualified throughout Thursday, Friday and Saturday for the chance to race the finals on Sunday, and a win on Sunday qualifies them for a shot at the King of the Hill title. Mathews had two shots and converted one into a win, while Kuster couldn’t take the start as damage from an earlier crash couldn’t be repaired in time. Congratulations to all the Ski-Doo X-Team racers and best wishes as the Hill Climb competitions continue into late April. 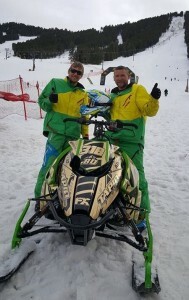 For more information on Ski-Doo snowmobiles visit www.ski-doo.com, or the On Track blog site for racing specific information. Plymouth, Minnesota (March. 29, 2016) – On the gnarliest hill of the season, at the largest hillclimb race in the world, Team Arctic mountain men and women piloted their M Series snowmobiles to new heights by claiming seven wins, 16 podium places and the ultimate title of King of Kings at the 40th Annual World Championship Hill Climb in Jackson Hole, Wyoming. “King” Kyle Tapio delivered another career performance at Jackson, starting with a win in the 800 Mod class that punched his ticket for the King competition. He responded by winning the Mod King title with a blistering shot up Snow King Mountain. And when all the King category winners squared off against each other, it was Tapio who once again set the fastest time of the day to claim the ultimate King of Kings title. Team Green’s David McClure capped a strong weekend by winning the 700 Improved Stock title and taking second in 600 Improved Stock. Likewise, Jeremy Archibald claimed the 600 Improved Stock class while finishing third in the 700 Improved Stock final. Todd Tupper scored the other big win for Team Arctic by taking Pro Masters Improved Stock class. With podium finishes in Semi Pro and Women’s classes, Team Arctic proved the performance and strength of its M Series machines with the ProClimb chassis. One of those podium finishes was scored in Pro Masters Stock by Andy Beavis, who is the Arctic Cat Engineering Mountain Team Leader. The next event for Team Arctic racers is the RMSHA hillclimb in Crested Butte, Colorado on April 9. MEDINA, Minnesota (March 29, 2016) – The 2016 Jackson Hole World Championship Snowmobile Hill Climb offered abundant proof that Polaris snowmobiles deliver winning performance straight out of the box as Polaris racers won every Stock class – Pro, Pro Masters, Semi-Pro, and Women’s – along with the Stock King of the Hill crown. 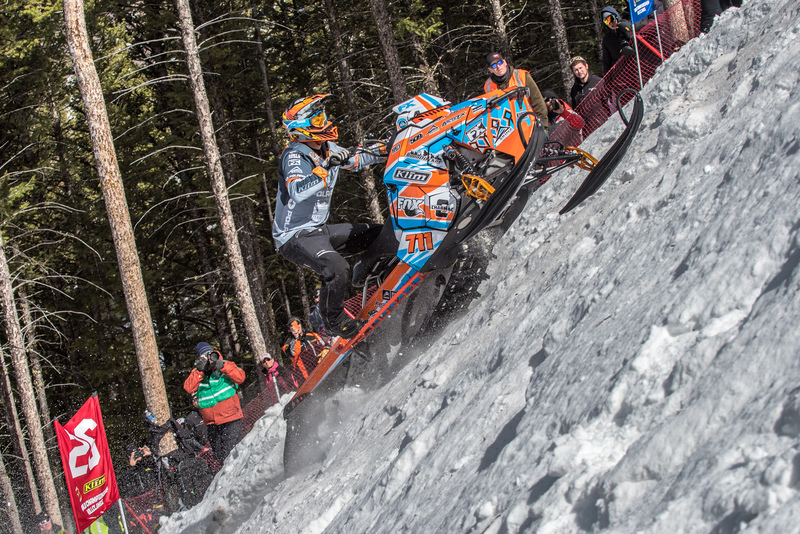 The Stock-winning sleds that raced up Jackson Hole’s Snow King Mountain from March 24-27 were nearly identical to the AXYS® RMK® models available right now from Polaris snowmobile dealerships. 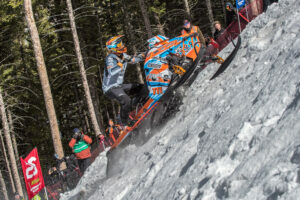 The Stock hillclimb sleds that won at the sport’s premier event in Jackson Hole, Wyo., used stock Polaris engines and rode on the patented AXYS deep snow platform that recreational riders can enjoy. As Polaris racers won 58% of all the Pro classes at the World Championship, they won all four Pro Stock classes and filled 75% of the available Pro Stock podium spots. Along with winning both 600 Stock and 800 Stock, Keith Curtis won the Stock King of the Hill crown by reaching the peak in 1:09.03, which was faster than the run that won Improved Stock King of the Hill. Veteran Polaris racer Sandy Sletten won the Pro Masters Stock title and Rayden Gladfelder won Semi-Pro Stock. Jadian Pfaff won the Women’s Stock class, and then reached the mountain top to win the Queen of Queens crown – the only woman to ride to the peak in this year’s event. After Keith Curtis won two Stock classes and the Stock King title, he made a determined run at adding another King of Kings title to his impressive career resume, but finished second by just over 6 seconds. He finished third in three more Pro classes, and he won the Snow Bike class. Erin Beukelman won both the 1000 Improved Stock class and the 700 Modified class. He earned a third podium spot with a third-place finish in 800 Improved Stock, and he finished second in both the Improved and Modified King of the Hill competitions. Luke Rainey won the 1000 Stock class at Jackson Hole and finished second in the other three Stock classes. He also finished second in 800 Improved Stock to earn a podium spot in all five classes in which he competed. Polaris racer Andy Thomas won the 700 Stock class and took second in both 700 Improved Stock and Open Mod. Justin Thomas won the 600 Modified class aboard a Polaris, one of the five podium spots Polaris racers earned in the Mod classes. In Pro Masters competition, Polaris racer Sandy Sletten won the Pro Masters Stock class. In the Women’s classes, Polaris racers claimed seven of nine podium spots as Christy Frisby won the Mod class and Jadian Pfaff won the Stock title and the Queen of Queens crown. Frisby and Pfaff earned three podium finishes apiece. There was a Polaris sweep in the Semi-Pro classes as Rayden Gladfelder won the Stock class and Tanner Meyers won both Improved and Modified before winning the Semi-Pro King of the Hill crown. In Juniors, Polaris racers Colton McCallum and Brock Sharp finished 1-2, respectively, and in Amateurs, Cody Monroe led a Polaris sweep by winning ahead of Luke Quinn and Jeff Toolson. Polaris hillclimbers have three Rocky Mountain States Hillclimb Assn. events left on the 2016 schedule: Crested Butte, Colorado, on April 9-10; Beaver Mountain, Utah, on April 15-16; and Crazy Horse at Grand Targhee Ski Resort in Wyoming, April 22-24. 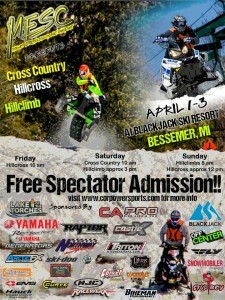 The Midwest Extreme Snowmobile Challenge returns for another year of cross country, hillcross and hillclimb action all in one spot – the Blackjack Ski Resort in Bessemer, Michigan. It all goes down this weekend. Visit www.corpowersports.com for more information.